At SIGNAL, we inducted a new cohort of builders to the Doers Hall of Fame. 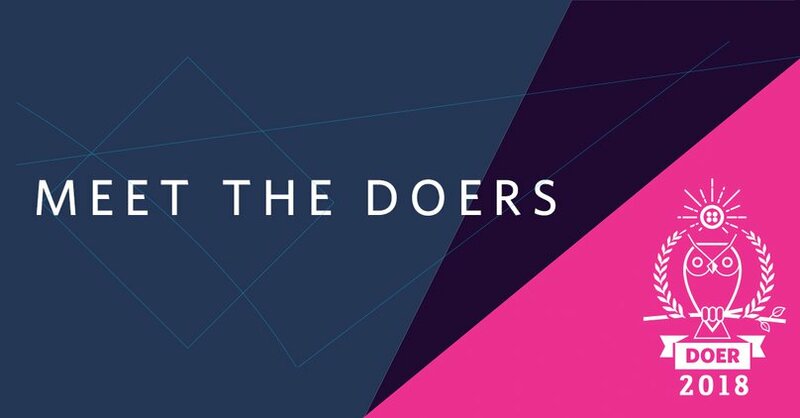 The Doers Hall of Fame recognizes members of the Twilio community who have driven transformative impact through strategic use of communications. Streetwide - Founders Fred Diego and Alicia Nieves created a distributed call center technology that partners with local community organizations to help undocumented immigrants who are facing ICE raids and deportation. The Twilio-powered helpline allows allies and impacted communities to work together to deliver emotional and legal support to individuals and their loved ones dealing with immigration arrests. Streetwide, which dispatches trained legal observers to document and protect immigrants, has been deployed in over 36 cities and has tracked over 1,000 separate incidents. OpenGov Foundation - Seamus Kraft and Aaron Ogle launched Article One to empower congressional offices with technology that allows elected officials to better hear the voices of their constituents. When we call our congressional offices, we expect our voices to be heard. However, many offices still rely on simple voicemail which fills up quickly and is extremely time consuming for staffers to listen to, transcribe and sort through to gather insights from their voter base. Article One was designed to solve this problem by providing a platform that can handle limitless inbound communications from constituents, allows staffers to message constituents back,and also absorbs data from the interactions to define the trends in the constituent base. Veterans Affairs - Veterans Affairs is the largest integrated healthcare system in the United States, serving more than 9 million veterans. This year, they launched VEText , a national appointment reminder platform to dramatically reduce the more than 9 million healthcare appointments that go unutilized each year due to missed appointments. 138 VA facilities are currently using the automated interactive text-message system and since July, more than 3 million patients have received VEText messages to cancel or reschedule 300,000 appointments - freeing up time slots for other veterans to use. Thinkful - Thinkful is a new type of school which offers fast paced, job-ready programs in web development, data science and design. Kara Leary used Twilio Video to build a 1:1 virtual learning platform for Thinkful's students to regularly connect with their mentors and receive guidance as they transition to their new careers. Marks & Spencer - Marks and Spencer has built a highly respected brand in the 134 years since its founding. Developer Akash Parmar wanted to modernize the company’s customer experience to ensure this experience continued to be one that delights its customers. Thanks to Akash’s conviction that he could change the hearts and minds within a large organization of 81,000 employees, Akash and his team built and deployed an initial MVP in four weeks. Marks and Spencer’s new customer experience is expected to handle 12 million calls per annum. U-Haul - Moving can be difficult. The big things are hard to pack. The small things are easy to lose. There’s so much to think of. Artie Tonan heads up a team of developers at U-Haul where they’ve built a chat app to help customers with any questions they have on their big moving day. But they’re not stopping there, Artie and team want to be the first customer to use Twilio Video inside of Twilio Flex, to video chat with customers in need. Joe Previte - As a part of his #100DaysOfCode challenge, developer Joe Previte included Twilio in his curriculum. After engaging with the Twilio community team, Joe single handedly brought Twilio Quest, Twilio’s gamified learning platform, to Phoenix, Ariz., where he ran a workshop for local developers empowering them to learn how to code with Twilio. Following his #100DaysOfCode challenge, Joe landed his first full-time gig as a software engineer at Digital Air Strike. Join us in congratulating our new Doers!